Let’s talk about something I just don’t understand. Maybe one of you can clue me in. Let me know what I’m missing. 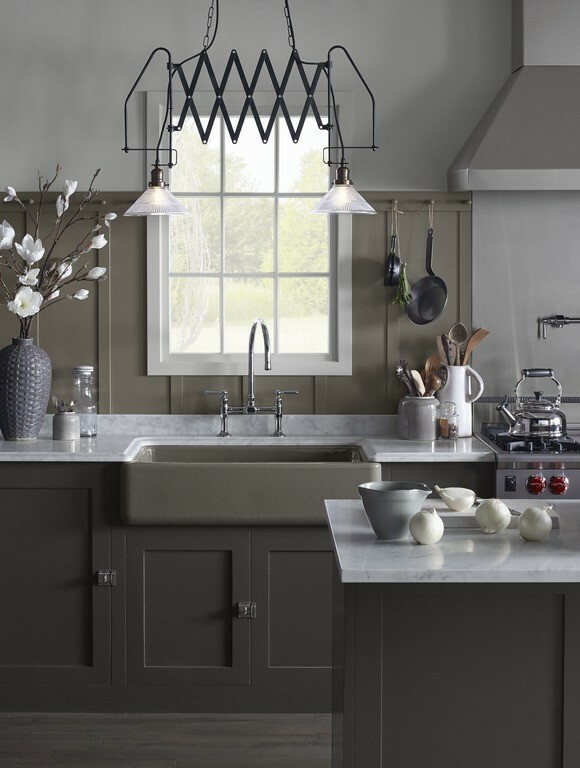 I have seen tons of gorgeous pictures floating around blog-land and HGTV of kitchens with two-handle kitchen faucets. Like this Kingston one from Home Depot. It looks pretty. There’s no doubt about that. 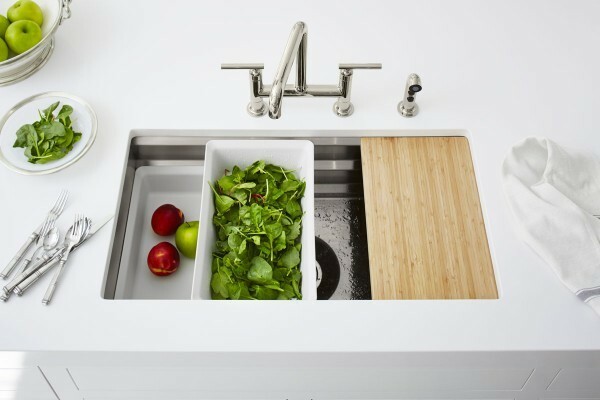 But why is a two-handle kitchen faucet a good idea from a practical standpoint? 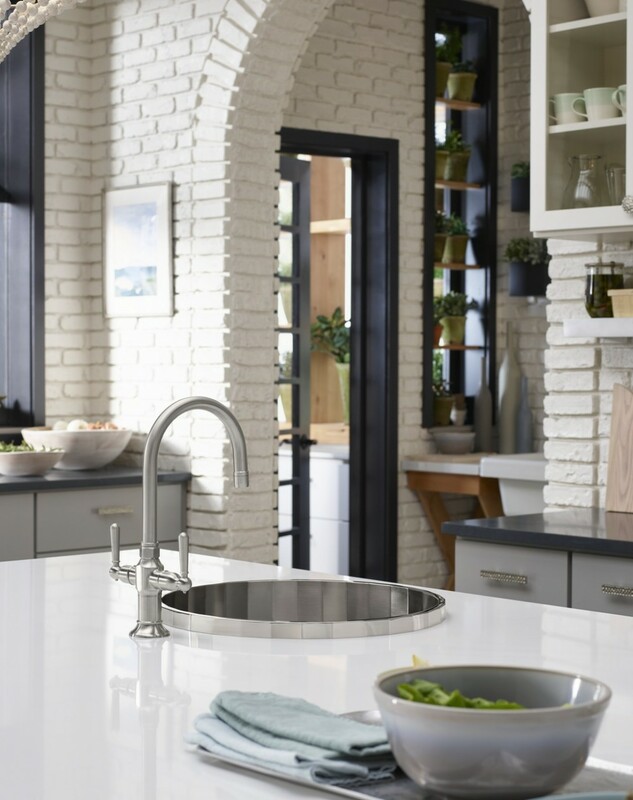 In order to get an ideal temperature that’s not scalding hot, you have to adjust both the hot water AND the cold water handle. Doesn’t this make cleaning up extra difficult? Especially if both your hands are covered in dough. Or if you’ve just handled chicken. UGH. Some two-handle faucets have twist knobs which means you have to fully grasp the knob with hands covered in paint, grease, dough, etc. in order to turn the water on and adjust the temperature. Now you’re not only washing your hands, you’re washing the faucet knobs too! I’m bringing this topic up because I’ve been living in a rental house for two years with a two-handle kitchen faucet and I find it to be annoying. It’s an unnecessary added step in the whole kitchen clean-up process. Plus, my kids are now scared of the hot water because adjusting both handles to get the ideal temperature is tricky when you’re impatient a kid. Does this added step not bother people? Do they not use their kitchen sink that often? Do they come to regret their choice later? 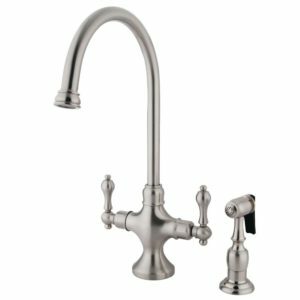 Is there a functional reason for two-handle kitchen faucets that I’m missing? Am I just easily annoyed or highly impatient? Don’t answer that. Now, because I don’t want to sound like a total ranter, I am okay with two-handle faucets in a bathroom. Mainly because I’m not spending much time in there. I’d be so happy if someone clears this kitchen faucet question up for me! 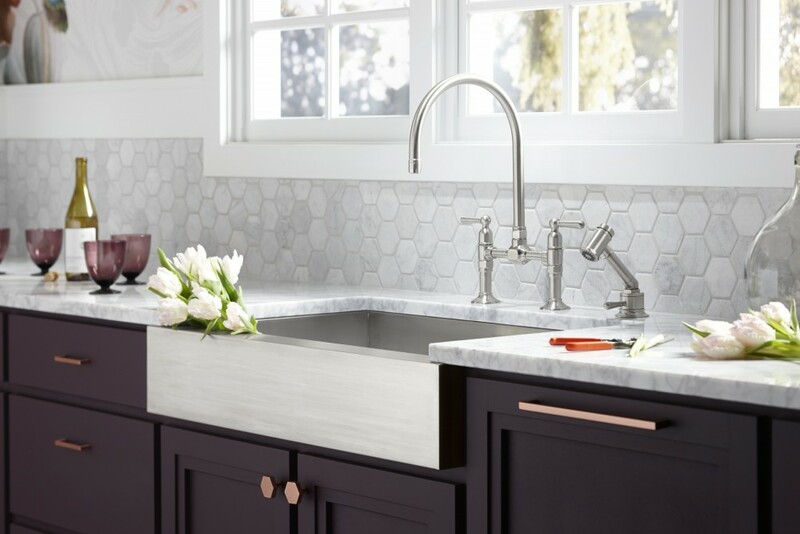 Do you care if your kitchen faucet has one or two handles? Am I the only one who has given this topic WAY too much thought? Uh, don’t answer that last one either. P.S. I’d love to know what things you “just don’t understand” too! Maybe we can form a support group. Or, I’ll just write about it! Ha! Thanks for joining me today! If you have another minute, I have another post! *affiliate links in this post. All kitchen pictures from Kohler.